Abdul Zuhoor Qayomi-Leather industry in Afghanistan is prominent among the people. Since immemorial times, people from all corners of the country remained associated with this industry. The first footwear making company was established by King Ameer Habibullah Khan. A British citizen expert at the field of producing military boots was hired. The company was producing boots and shoes for Afghan troops and policemen. It was also manufacturing footwear for general public. Different other footwear manufacturing companies, including Aahoo Shoes, were established during the reign of the late king Muhammad Zahir Shah, around 60 years ago. Since 1350 (solar year) rapid growth was observed in this industry. Companies like Aahoo, General and Oqab progressed well. However, these companies were reduced to rubbles during the three decades of wars. According to data obtained from official sources, there were 2,000 footwear producers, but most of the companies are traced now only in the ruins that the civil war has left behind. Fortunately, after the establishment of the new government when the Taliban’s regime was toppled, a number of private footwear companies were established in the country. 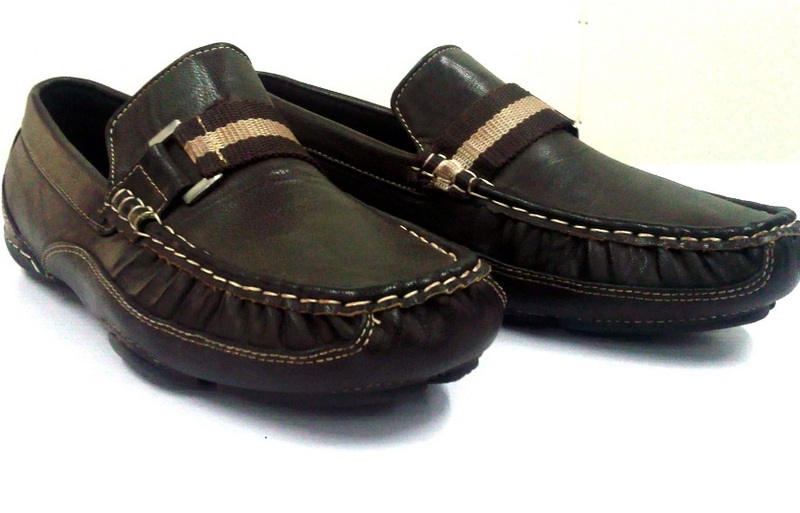 However, the companies not progressed well as the footwear industry failed to get the required government attention. The free market policy of the government has created multiple challenges for domestic products. Foreign-made cheaper footwear had flooded the local markets. Pakistani, Iranian, Turkish and Chinese products have stormed the Afghan markets as the government did not support the domestic products due to the free market policy which is imposed on Afghanistan by foreigners, because Kabul is dependent on foreign donations and does exactly what the international partners want. Local businessmen believe that the Afghan-made shoes would improve if the government fully supported the domestic products. They say that their customers are also interested in locally manufactured footwear, particularly after boycott of the Pakistan-made products as Islamabad has been accused of harboring and supporting the militants who killed and injured hundreds of Afghans in the last four months. The recent terror attacks in different parts of the country have annoyed Afghans and they want to use the domestic products including footwear. Obaidullah, an owner of a footwear company, said that their customers prefer domestic products because nationalism is at its peak. He said that Afghans know that use of local products is vital for economic growth and to create employment opportunities besides reducing reliance on others. He said that inattention of the government was worth lamenting as the local producers are direly need essential facilities but the concerned authorities are not paying heed. Obaidullah has invested $3,000 to establish the small footwear manufacturing company. He said that low customs duty or raw materials and machinery would be major steps of the government, if taken, to support the local industry. Obaidullah suggested that raw materials should be exempted from taxes. Abdul Karim, a footwear seller in Saraye-e-Shamali area of Kabul City, said that his customers are more interested in locally produced shoes rather than the foreign made. He sells different kinds of shoes including Pakistan, China and Turkey-made, but none is of good quality when compared to Afghan-made shoes. Afghan-made shoes bring him more profit than the foreign-made. Karim believes that locally manufactured footwear are more durable than Pakistani and Chinese shoes and slippers. At present 80% of the traders and customers prefers local products due to high gross profit margin, he said. Replying to a query, he said the quantity of Afghan-made shoes has decreased in the markets as the government was reluctant to support local products. Afghan-made footwear are of the highest quality, though not cheap. A pair of China or Pakistan-made shoes is sold in the range of Afs250 to Afs350 at wholesale rate while a pair of Afghan-made shoes is sold up to Afs2,500. The difference in price is determined by the quality. The latter is of optimum quality while the former is of poor quality, he explained. Abdullah, another shopkeeper, proposed that the Afghan shoes-making companies must use trademarks of their own. “Some of the companies are using trademarks that are unregistered and unknown. Thus, the customers cannot trust them,” he pointed out. Footwear worth Afs16 billion are imported every year. Traders are of the view that if local companies are supported there would be no need to import foreign-made shoes and slippers. The Union of Shoes Producers (USP) says that local producers are able to meet the demand if they are supported by the government. President of the union Muhammad Aasif said that there are 450 footwear manufacturers in the country but looking desperately for the government’s support. He said that lack of industrial parks, shortage of energy, heavy taxes on raw material and low customs duty on imported products are the major problems in front of the local producers. Chief of Handicrafts Union Muhammad Hassan Sipahee said that the foreign products damaged the domestic shoes markets due to wrong economy policy and lack of support. And there were around 2000 small shoe maker firms and 10 big firms 14 years ago, but now it decreased to 21 small and three big shoes makers, he said. Lack of power and loan are the main challenges as mentioned Sipahee adding they will produce high quality shoes than the Pakistani and Chinese if supported by the Afghan government. They are able to produce high quality shoes than the Chinese and Pakistani products if they are provided electricity and have the support of the government, said Muhammad Zahir one of the shoes makers. Zahir who has invested around $ 8,000 in his firm with seven staffers said that most of his customers are Afghans. And Zahir is interested to export is products abroad as it was exported before if the Afghan government support as it used to be exported to Moscow in a high quality, he said. Zahir while expecting to the support of the government said that opening a bank account for purchasing raw material, removing the custom duty tax on raw material, enhancing the taxes on imported semi goods are the major demands for improving their products. He purchases per meter Chinese plastic for 200 Afghanis, but is interested to use domestic leather, added Zahir. Sayed Ali a 34-year old man who is working a 30 –person staffer said that he has worked in shoe production firm since 24 years. Bad political and insecurity condition has put negative impacts on his work he said adding daily produces 36 pair of shoes and earns only 7,000 Afghanis and will earn 12, 000 Afghanis as wage if the condition is available to him. However the Afghanistan Investment Support Agency (AISA) has vowed to provide them cheap price power, he said. Chief of AISA Qurban Haqjo said that they are trying to find market to the Afghan shoes producers and attract the support of the government. Haqjo called the capacity of productions of the domestic products in a high quantity added that the domestic firms have the capacity of producing 50% of the need of citizens with capacity of producing seven million pairs of shoes if it is fully supported as at present capacity of the shoes production is 3.5 million pairs of shoes per year. There are three big and 250 small shoes producer firms that are located in different parts of the country, as Kandahar, Herat, Nangarhar, Mazar-e-Sharif and Kabul are the provinces having main shoes and sandals producer firms producing a high quality than the neighboring countries, he added. But they are located in a bad conditions, as lack of leather processing fabrics, and proper place and power are their main challenges. And the domestic firms have hundred percent the high quantity and quality capacity of productions if the government support them, as training of professional staffers for producing new model shoes as one of the major supporting factors, he said. Also the shoe producers need to have proper place and electricity with low rate and land, he said adding now per firms has been shifted in 15 square meter place with 15 staffers that is not enough. There are annually 20 million pairs of adult and children shoes and sandals are used by the citizens based on official figure. As annually 800,000 to onemillion pairs of military shoes are imported to the security organizations as contract with some of businessmen, he said. He asked the Ministry of Hajj and Religious affairs, Ministry of Defense and Ministry of Interior as well as municipalities to use domestic products instead of foreign products. Haqjo also said that the if the shoes makers firms are supported at least Spokesman of Afghanistan Chambers of Commerce and Industries (ACCI) Muhammad Hashem Rasooli, said that the government has never supported the domestic products so far in last 14 years. According to him only 800 production firms out of 3500 are active while the rest deactivated sue to lack of support. Chief of International Relations Committee (IRC) of ACCI Aazarakhsh Hafezi in interview with Radio Azadi said that the economy of the country must not be depended on other countries and the government must support domestic products. And sanction on purchasing Pakistani made goods is not possible until the domestic products are not supported, he said the replacement of Pakistani made is the Iranian and Chinese made products that are offered with a high rate out of afford of the citizens. And short-term sanction for purchasing of Pakistani made goods is a good way to pressurize Islamabad, but it needs to time to improve the domestic products to restrain Pakistani made products for ever.